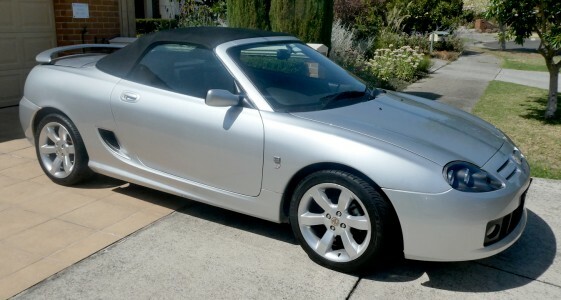 Cars for Sale Advertising on this site is free to MGCC (Victoria) and MGCC (Geelong) members. Ads must include either Vehicle Registration Number or Engine/Chassis Numbers, and the asking price. Only MGs may be offered for sale on this site. Please send photos as JPG files. Do NOT embed them in a WORD document. Keep your entire email below 7MB or it may never arrive. Advertising fee for Non-Members is $22.00 (incl GST) per ad. and quote your vehicle registration number. Note: Advertisements will be deleted after 3 months (Unless notified otherwise). Caution! Please be very careful dealing with international queries for your car (i.e. where you never meet the buyer face to face). We have had at least one instance where a buyer (claiming to be on an overseas work posting) supplied a fraudulent cheque. 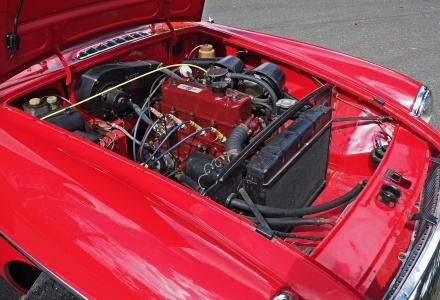 Full history with comprehensive receipts for parts and work for over 25 years, including the cars "birth certificate" from the British Motor Industry Heritage Trust. Older bare metal restoration and complete motor rebuild. Original colour of Tahiti Blue repainted in two pack baked enamel. 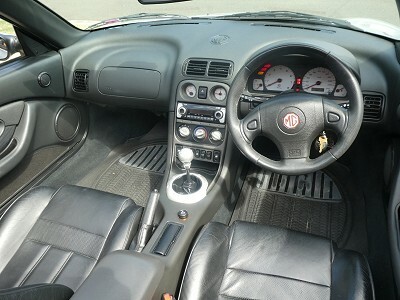 Seats and wheels have been replaced, but original parts retained and included in sale. The car is in very good condition and mechanically sound. Odometer 22704 miles, but second time around. Registration paid until February 2020. It is priced to sell quickly at $19,950. A roadworthy certificate will be supplied. My custodian has owned me for the last 32 years but used me sparingly in the last 5 years. I am in good condition overall and registered until October 2019. I have a few stone chips in my paint but my trim is in good condition. Some trim castings have a little pitting but both chrome bumpers are in excellent condition. I have a tonneau and hood. My tyres are also in good condition and my original steering wheel is included. The original jack and mallet can be found in my boot. 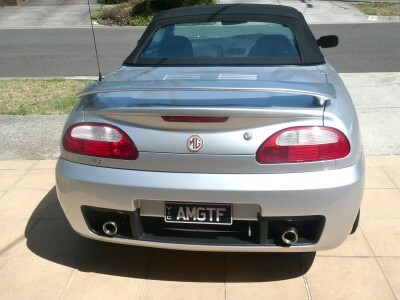 I come with highly desirable “MG 0124” number plates. I have always been garaged and covered. 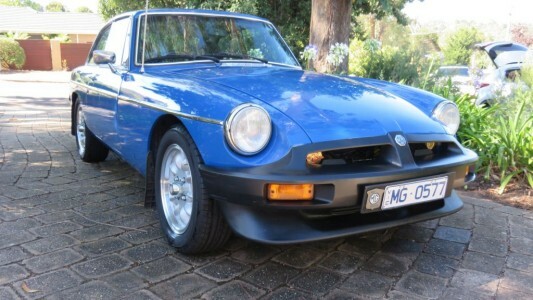 I am ready to move to a new custodian, an MGB enthusiast who can step in and drive me. 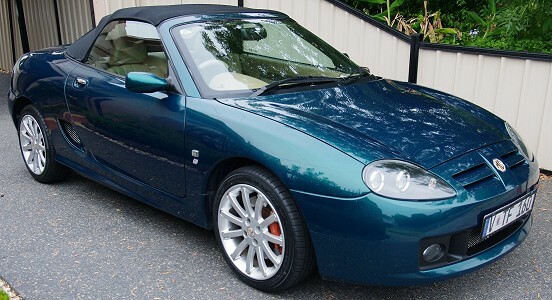 This MGTF 135 was purchased from Zagames in May 2005, with a mileage of 8692klm’s, as this major distributer for MG’s at the time used it as a demonstration vehicle. Since Ian purchased the car, it has travelled only an extra 59,000 km, accident free, and never used for any competition events. 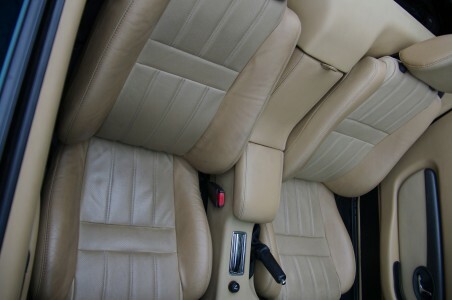 The vehicle is in excellent condition, and has always been garaged. Regular servicing by Link automotive has always been adhered to, and all servicing papers are available from Ian or from Link directly. 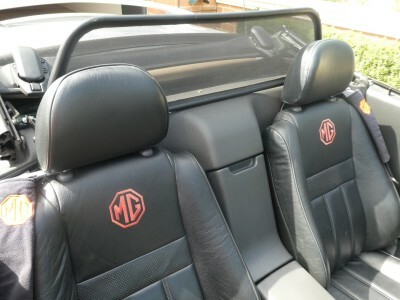 The car comes with standard equipment of Heater, Air Conditioning and Radio / CD, plus MG Logos on the leather seats, and aftermarket options of MGTF Boot Spoiler, and seating Windbreak. 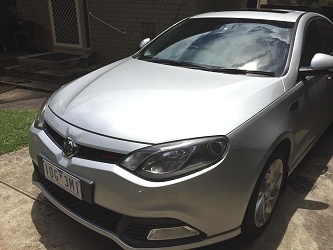 This car has been a very reliable “Fun Car” and very economical. 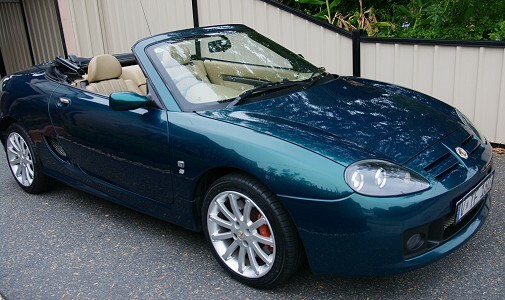 The price for this low kilometre vehicle, with extras, is only $14,000, and comes with the RWC. Registration V*TF160. 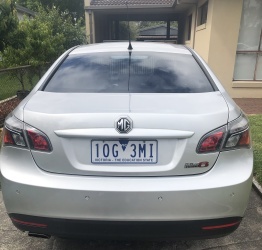 This car has been owned by Laraine since April 2005, when she bought it from Zagames as one of the last TF’s that they sold into Australia before the demise of MG Rover. 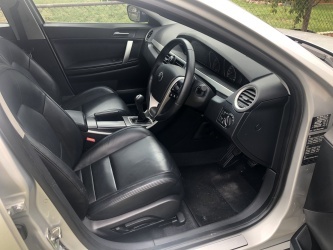 During that time it has been regularly serviced, first by Zagames and then by Link Automotive, and full service documentation can go with the car. It has been a fun, economical, and reliable everyday driver with a mileage of 104,600 km. All four tyres are brand new, and it is registered until January 2020. 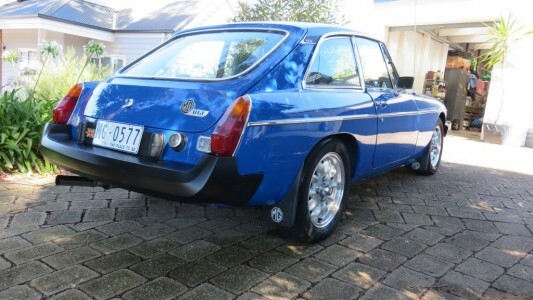 As an Australian sold car it has air conditioning, and as the 160 model it is the most powerful of the TF range with bigger brakes and wheels. The custom plates are included in the price of $13,500 and a RWC will be supplied. 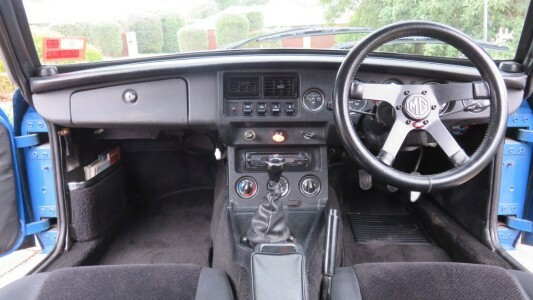 The car presents extremely well, and is in excellent condition all round. One of the last ZR190's built by MG Sport & Racing. 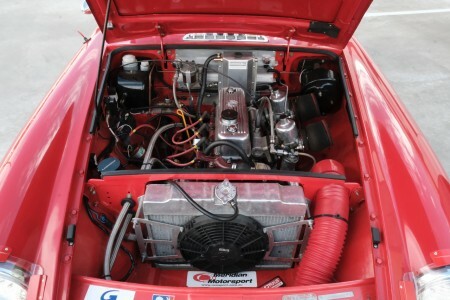 Janspeed VHPD engine, Seam welded shell, ready to race. Comes with slicks and wets. 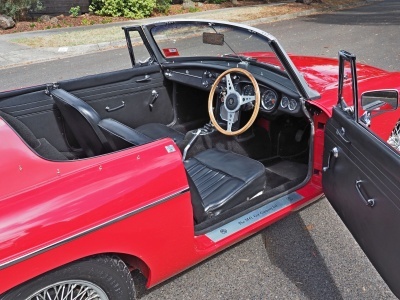 This MGB GT has been built from the ground up as a purpose-built tarmac rally/track day car. 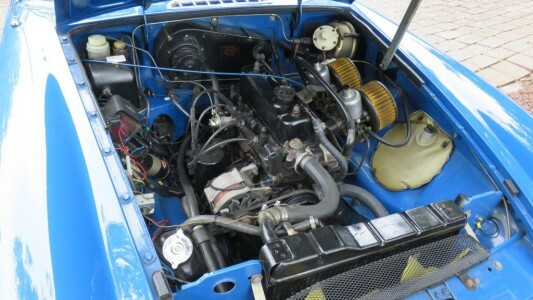 it is a well sorted, well handling, reliable and QUICK car, built on a rust-free body, paintwork is good overall, a couple of patchy bits though so unlikely to win concourse! alloy radiator, thermo fan, 19 row oil cooler, s/s braided fuel and oil lines, Alloy fuel cell, hi volume fuel pump & fuel regulator. 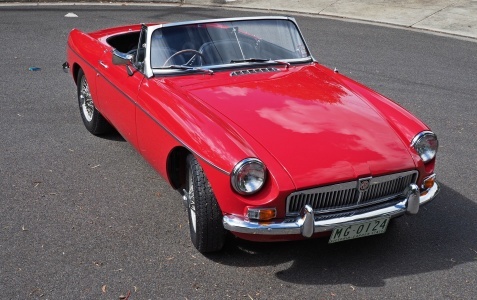 4 speed gearbox (with rev limiter) is currently fitted, Quaife LSD has just had a $3,000 rebuild by MG Workshops in Melbourne. 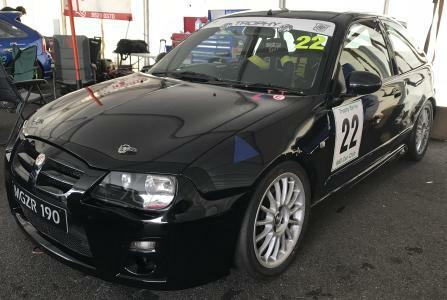 Safety-wise, car is fitted with a fully welded 10 point roll cage by Meridian Motorsport, OMP harnesses, one Velo race seat & one Cobra "mini-style" bucket seat, but can supply 2 Velo race seats if required. Suspension work includes 600 lb front springs and 7/8" front anti roll bar, Koni adjustable tubular shocks bars on rear & brake power booster. Toyo 888 fitted onto 14x6 minilites, includes extra minilite fitted as rally-style spare. Heaps of extras including new cold air box, new race brake pads, switches, manuals etc. Car is currently registered on club reg, but selling unregistered with no roadworthy. Custom built trailer is also available, please ask. Please call Mark on 0412-289-913 for more information.